Just put your iPhone 6 on top of your power adapter on a smooth and level surface (granite, marble or wood desk) and it will automatically rotates 360 degrees using the phone’s internal vibration motor. 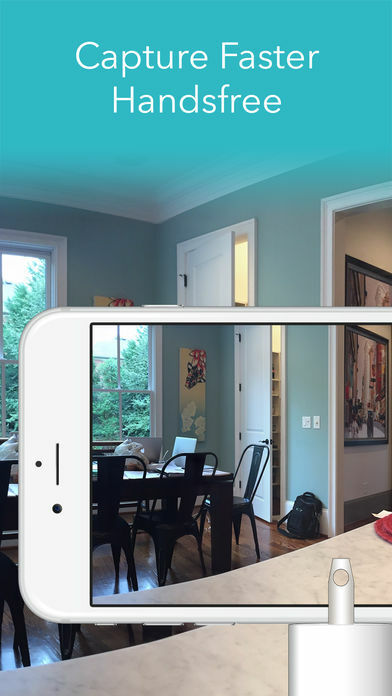 As it rotates, the phone takes multiple photos, instantaneously stitches them together, and generates a panoramic photo viewable in our immersive viewer. 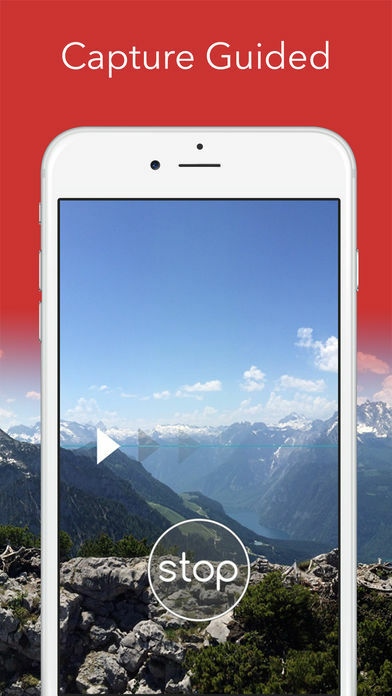 – The easiest panorama guidance system. – up to 360-degree panoramas. – Award winning photo editing and enhancement tools from Aviary: filters, frames, stickers, adjustments (crop, rotate, contrast, brightness, etc.) and more. 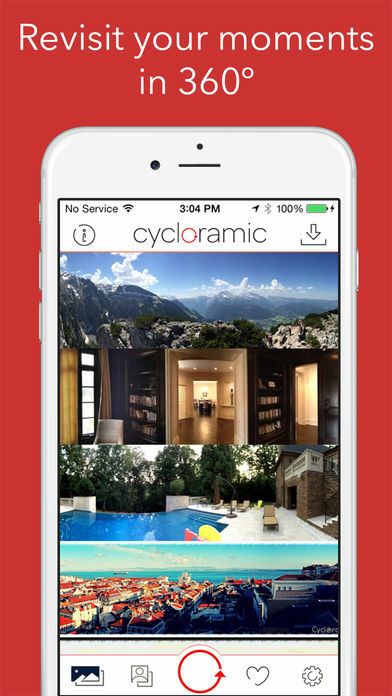 The photo suite can also be used on your regular photos taken outside of Cycloramic. – Video Conversion: Convert any photo into a video (240p, 360p, 480p, 720p or 1080p resolutions). 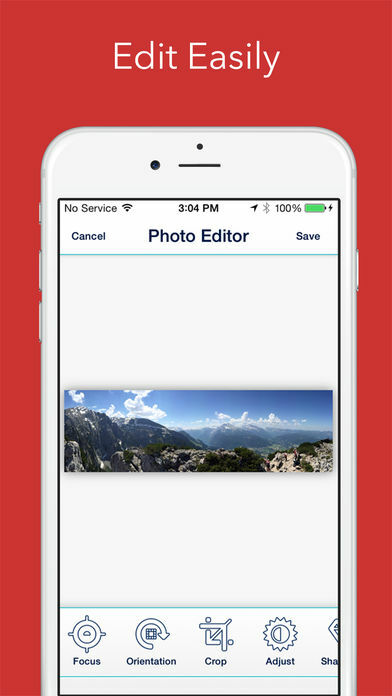 – Panorama Photo to INSTAGRAM Video converter. 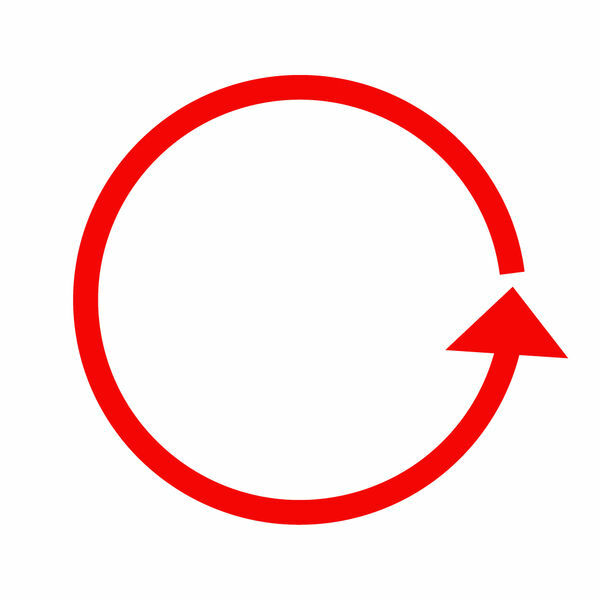 – Share to Facebook, Twitter, INSTAGRAM (photo and video), email, sms and camera roll. – … And for the iPhone 5/5S, the revolutionary Handsfree Mode.